Guillermo del Toro’s fantasy love story The Shape of Water just won the Oscar for Best Picture of 2017. The award ended a great night for the film, which also took home Best Director, Best Original Score and Best Production Design. 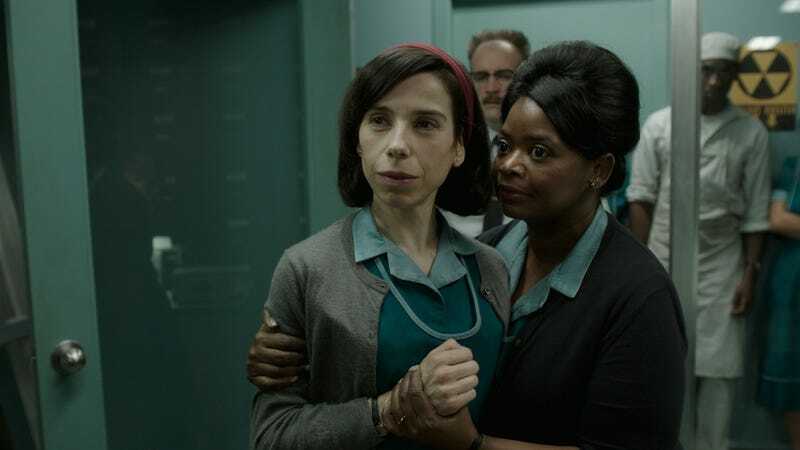 Co-written and directed by Del Toro, The Shape of Water stars Sally Hawkins as Elisa, a mute cleaning lady who falls in love with a mysterious fish creature who is being experimented on, played by Doug Jones. Michael Shannon, Richard Jenkins, Michael Stuhlbarg and Octavia Spencer round out the rest of the cast. It’s is the first flat out, sci-fi fantasy film to win Best Picture since 2004’s The Lord of the Rings: The Return of the King, making it a most unlikely winner, despite the fact it was one of the favorites as the Oscars grew closer. You can read more about our The Shape of Water in our coverage below.